Never forget why you hate work. Barging its way uninvited into my mind today, comes this perfectly random memory from my life as an employee. We’d been shipped out of our office to a training facility: an otherwise unproductive rented space on the outskirts of town specifically designed for extra-curricular office bod torture. We were given a teamwork exercise by a professional trainer: to construct a pre-designed arbor-like sculpture from bamboo canes without using more than our combined index fingers and the gift of cooperation. Teamwork, see? Looking at our third or fourth effort to build the shack laying scattered upon the floor, I heard myself saying “This is so f*cking stupid,” but neglecting to pronounce the asterisk properly. The words were out, and hanging in front of all of our faces in glorious 76pt Comic Sans. There could be no avoiding them: a glorious elephant in the training room. “I beg your pardon? !” snapped the trainer. “Sorry, Sorry,” I said and smoothed the situation over using the diplomatic skills I’d leaned on a previous training day. The proposed new five-pound note, feat. Winston Churchill, will include his “blood, toil, tears, and sweat” quote. The current British government are obsessed with hard work. Obsessed with it. It’s not enough for them to supposedly work hard for their public’s interests but every other Brit — including children, the elderly, and disabled people — must also work their fingers to the bone. Iain Duncan Smith’s Social Justice Strategy damns a million welfare recipients as scroungers. George Osborne announced a budget designed to help “hard-working families” and “those who want to get on”. And now Michael Gove is proposing longer school days and shorter school holidays. These Tories are true enemies of liberty. When are we to find the time in which to nourish ourselves? When will we read good books? When will we cook? When will we fart around? Needless to say, we at New Escapologist are not fond of hard work for the sake of itself. We advise you to turn your back on the politicians’ work-and-austerity speedball. Ignore it and it will go away. It’s not a real thing. Public servants ought to be be just that. Don’t let them get above their station by telling the rest of us how and when to work. The rest and the spell of sleep in the middle of the day refresh the human frame … We were not made by Nature to work, or even play, from eight o’clock in the morning till midnight. 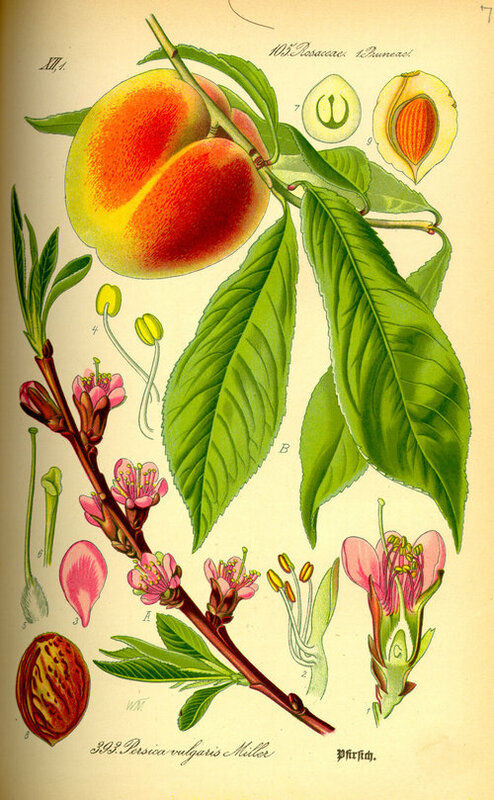 Who could possibly give a toss about a made-up thing like career when nature–nature!–gives us peaches? Perhaps the greatest mistake of the present age lies in mistaking signifiers for signifieds. The error is to mistake business, money and property (signifiers) as real things (signifieds). Examples of real things are love, health and dignity. For some reason, it’s become taboo to talk openly about the pursuit of love, health and dignity. So instead, we sidestep them and use the dull, bleached-out euphemisms of business, money and property. Love, health and dignity are what I imagine we set out for on Day 1. Money and whatnot are simultaneously ways of getting there and ways of clouding the issue. We’ve confused means as ends. We’ve confused real fruits with the transactional heat generated in picking them. Instead of direct and joyous sensual pleasures, we’re left with the somber and indirect systems of professionalism and careerism. The world of signifiers–of business, money and property–causes problems. It makes us value competition instead of cooperation. It makes us lust after pointless geegaws and totemic things, insatiably. To confuse a signifier with a signified is like confusing a desktop icon with the actual program it represents; or confusing a passport stamp with the actual pleasure of going somewhere. In the late 18th and all through the 19th centuries, the great project of industrialisation was to take a nation of strong-willed and independent agricultural workers and transform them into docile wage slaves. The two principal methods used by those at the top were fear of God and fear of hunger. These days, our freedom consists of little more than deciding between Asda and Sainsbury’s, Ford and Vauxhall, Stella and Foster’s. 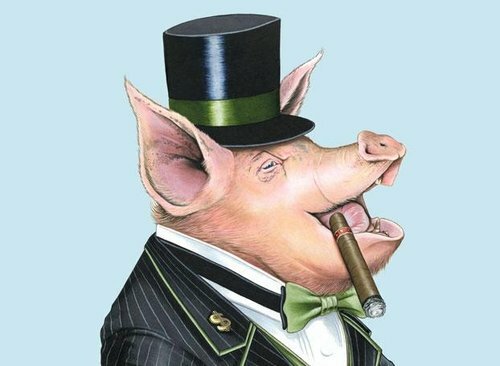 So if it is true that work is a gigantic con trick that we are now waking up to, the question remains: if we dismantle the job system, then what do we replace it with? How do we live? One answer is to live well on less. If we do not desire the panoply of products that are sold to us each day, then we will not have such a voracious appetite for money. Less money means less work. Less work means more freedom to do our own work or do what we want to do. From a really old book review by Tom Hodgkinson. It’s great. I came across this charming image and, as an unseasonable April snowstorm raged outside, was reminded of the benefits of RETREAT: a founding principle of Escapology. We will be starting work fairly soon on our hair-raising ninth issue. Until then, Issue Eight celebrates all that is arse-warmingly cosy. Acquire a copy for your home. And enjoy it with a cup of tea.